Hey all you lovely people today’s blog post is all about social media. This is directed towards both new bloggers as well as ones who have been blogging for a while. I don’t think people understand how much work who goes into writing a blog let alone all of the admin, marketing and promotion that go along side it. Nowadays anyone knows the impact that social media has I mean one photo can go viral within a matter of minutes. 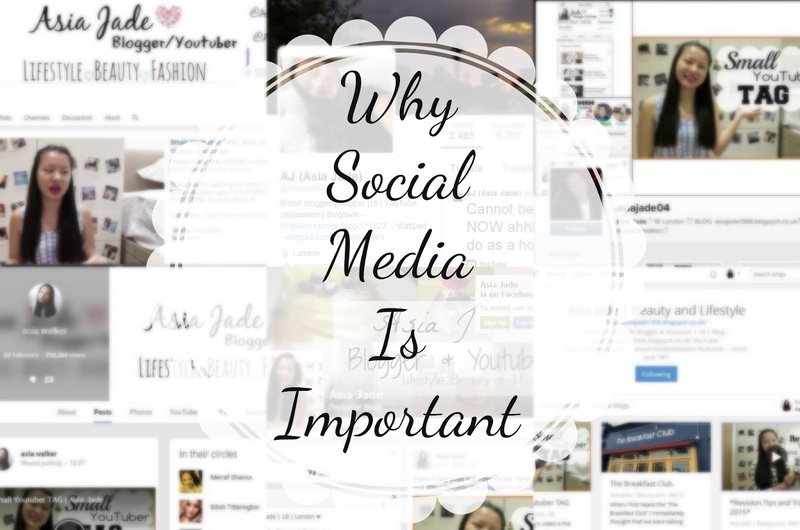 It’s important that you use social media when you are writing a blog or making youtube videos to the best of their ability’s. I use my social media on a daily basis if not an hourly basis I like to keep my readers/viewers up to date. I like to link all of my social media platforms at the bottom of each blog post/video. Once I have written and published or uploaded something I will then use my various social media platforms to let you guys my readers or viewers know that I have done this. I do this for many reasons the two main ones for me are it keeps my followers up to date and of course to promote myself. Many people nowadays who write a blog use Bloglovin it allows you to “Follow your favorite blogs with Bloglovin. Discover what’s best in Fashion, Beauty, Lifestyle & more. Sign up or login today & never miss a single post!”. I use bloglovin mainly when I’m on the go as it’s such an easier way to browse many blogs when I’m out and about and cannot use a laptop or computer. I also think that bloglovin is a great way to interact with other bloggers as many people use it. What I also like about bloglovin is that it automatically uploads your posts straight from your blog which means you don’t really have to do anything to update it. The second social media platform that I use is twitter nowadays everyone uses twitter it’s such a popular site and it should be it’s great fun. I can really rely on twitter brightening up my day when I’ve had a bad one. I love all my followers although at the moment I am following a lot of people I don’t really care what other people think it’s a way to get myself out there. I love to interact with my followers and I have honestly met so many lovely people through it. I do understand that twitter can be a horrible place at times especially if you are the target but it can also be an inspiring, beautiful and exciting place where you meet amazing people. I haven’t been using instagram long however I wished that I have used it right from the start. I absoutely adore it now I really love making sure that all of my photos match so that my instagram profile as a whole looks inviting. It’s nice to have a social platform which is just about images I like to see the photos that the bloggers and youtubers who I follow post. It’s like having a diary which is just photo based it’ll be nice in a year or two when I have had my profile for a while to see all of the old photos that I have posted. If you don’t know what Google + is then it’s quite like its own blog in itself. You are able to post things such as a post, video, links, events and polls among many other things. I have found using Google + really useful as it enables you to share your blog posts etc with the public (which makes it easier for you to gain an audience). I always make sure that I share my blog posts or videos on Google + once I have uploaded them as I might have some viewers or readers who only look at my Google + profile. It’s such an easy platform to run as you don’t really have to type much you only have to link the url from your blog post to it then it will direct them to the actual post once they have clicked on it. The last social media platform that I have been using is Facebook this is also the newest one that I have been using for my blog. I decided to create one as I wasn’t hiding my blog or youtube channel anymore. I have liked it so far however because it is new to my blog I do sometimes forget to update it haha. It’s probably the social media platform which I have the least interaction on as it’s quite hard to gain an audience from it unless you pay to promote it. However I have liked using it as it has enabled me to interact with my friends on Facebook who maybe don’t know or have just found out that I write a blog. I know that social media in general can be hard to keep up to date even more so when you have a blog. However in my opinion having these five social media platforms alongside your blog can have a massive impact on it. It will enable you to interact with your readers or viewers therefore getting you out there for people to see. I love using all of these platforms and I am so thankful for them as they have increased the traffic to both my blog and youtube channel. "Video | Bathroom Tour 2015 + Organisation"
"The Sunday Topic No.6 Living in London"